A free spirit who took to competition, Chelone Miller carved a path that had him bound for glory. EASTON, N.H. — A mountain child, Chelone Miller was born here in a rough-hewn cabin with no plumbing or electricity next to a cascading brook on a steep bluff in the northern forest. His parents let him roam, and the boy often disappeared in a high country of black bears and bobcats, storm-mangled woods too gnarly to navigate, and sudden snow squalls blasting over craggy ridges. The world would come to know his big brother, Bode, as one of the greatest Alpine skiers in American history. And while Bode Miller was carving up Olympus, Chelone was deep in the White Mountains, raising himself to embrace nature’s mysteries and defy its dangers. By the time he came out of the woods, Chelone, too, was bound for glory, as one of the world’s most daring professional snowboarders. And he was saving his best for last. Eight years after he suffered a traumatic brain injury in a dirt bike crash on a country road in nearby Sugar Hill, Chelone — renowned for his big smile and bold spirit — was racing to join Bode, an Olympic gold medalist and two-time World Cup champion, on the US Ski and Snowboard Team for the 2014 Winter Games in Sochi, Russia. Chelone Miller lived the life he loved, and to the fullest. Then he was gone. Three days before he was scheduled to travel last month to a glacial peak in Alaska’s remote Hoodoo Mountains for an extreme snowboarding challenge, Chelone was found dead of an apparent seizure in his mobile home — a van he had parked in a friend’s driveway in Mammoth Lakes, Calif. 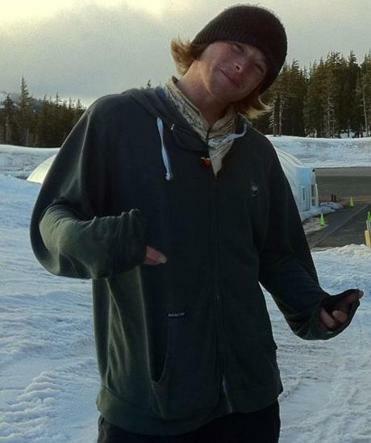 He was 29, and so in love with pushing the frontiers of snowboarding — from soaring off lofty cliffs to blasting down icy mountains at more than 80 miles an hour — that it may have cost him his life. Despite suffering a series of frightening seizures since his dirt bike crash, Chelone had spurned the medicine his doctors had prescribed to prevent the attacks, according to family and friends. He told them he never felt like himself on the drugs, that they sapped his energy, his power, his spirit. For years, Chelone operated beyond the strictures of the national snowboarding program, content to follow his own path. He happily motored about in his finely equipped van to competitions big and small. “He was kind of a vagabond, always with a big smile on his face,’’ Holland said. But last winter, Chelone developed a sense of urgency. He knew time was running short for him to join Bode as an Olympian; Bode turns 36 in October and has hinted that his fifth trip to the Olympics next year will be his last. Unlike Bode, who grew up with coaches and mentors steering him to the best ski schools, camps, and showcases, Chelone had long fended for himself. But this time, Chelone reached out for help. He called his uncle, Mike Kenney, at the family compound at the base of the mountain. “Chelone wanted me to get him into races and training camps with the guys on the national snowboarding team,’’ Kenney recalled during a 40-minute hike to the cabin where Bode, Chelone, and their sisters, Gennie Wren and Kyla, were born. Kenney, a former professional Alpine skier, has long coached Bode and is a member of the US Ski and Snowboard Team’s Alpine coaching staff for the upcoming World Cup and Olympics. He also spent many summers helping Chelone train, often on a 40-foot climbing wall in the silo of his 111-year-old barn. So, he did. Before the snow melted in the western mountains, Chelone established himself as a leading contender for the four-man US Olympic snowboardcross team by placing fourth in February at the US Grand Prix nationals in Utah and winning the overall title on the Rahlves Banzai Tour at Lake Tahoe. 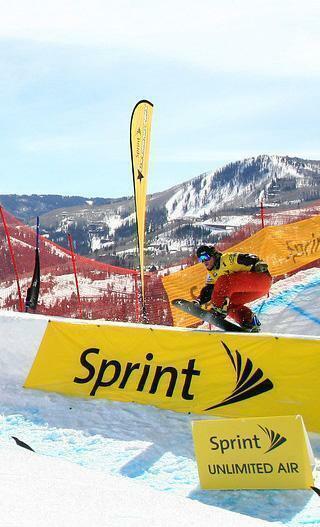 At the Grand Prix, Chelone defeated all four members of the US elite snowboardcross team, including Seth Wescott, the Olympic gold medalist in 2006 and 2010. “Chilly was definitely in the mix,” said Peter Foley, who has coached the US Olympic snowboarders since 1998. Foley had long admired Chelone’s command of every snowboarding discipline from half-pipe to backcountry. 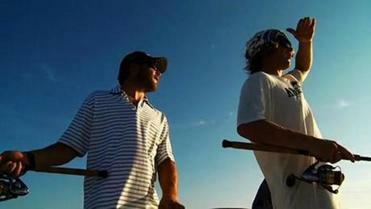 Bode Miller, left, and Chelone Miller, shown in an image from the Ski Channel film, “The Story,” had a special bond as brothers. In Bode Miller’s 2005 autobiography, “Bode: Go Fast, Be Good, Have Fun,’’ he attributed Chelone’s pluck to his early life in the mountains, a magical time that included deep forays into the forest. More than once, Chelone got lost and slept in natural shelters under the moon. Sometimes, he drank maple sap for fun or sustenance. His parents, Woody and Jo, named him Nathaniel Kinsman Ever Chelone Skan Miller. They called him Chelone after a species of brilliant wildflower they had picked during Jo’s pregnancy. “Skan” is a Lakota term for the great spirit of the universe. By the time he was old enough to walk, Chelone could ski, and he followed Bode downhill until he branched off on his board at the age of 9. He turned pro at 20. A year later, as the foliage turned on an October afternoon in 2005, New Hampshire State Trooper Nathaniel Hamilton responded to an emergency call on an isolated country road in Sugar Hill. Chelone was in a coma for 11 days and had no memory of the month after the crash. Surgeons needed to temporarily remove nearly half of Chelone’s skull to save his life, and he suffered permanent damage, the most serious causing multiple seizures in the years after. 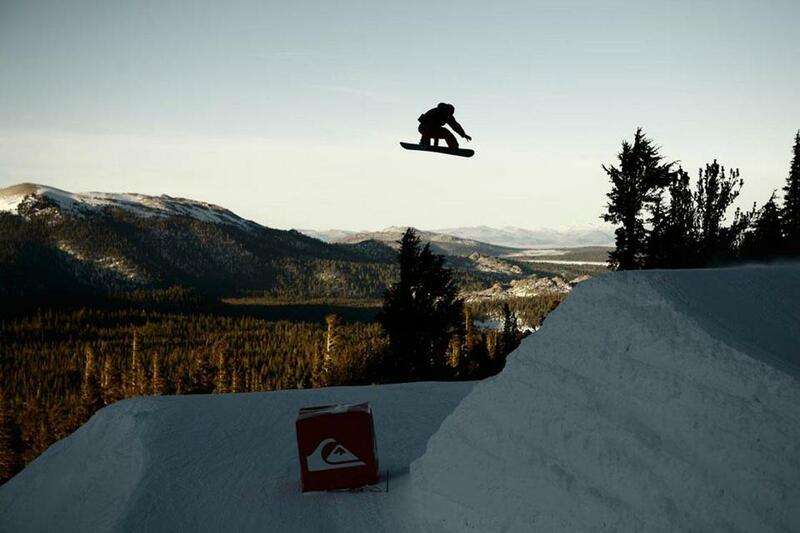 One of the worst attacks caused Chelone to fall 25 feet from a chairlift at California’s Mammoth Mountain. “I landed flat on my back, and when I hit the ground, I went into convulsions,’’ he told Snowboarder magazine in 2010. Chelone was rushed 80 miles by ambulance to the nearest medical clinic. Doctors there were preparing to airlift him to Anchorage before the seizure ended. Instead, Chelone took daily tinctures of herbal ingredients aimed at curbing the attacks, according to friends. He also scoured books for alternative treatments. At the clinic, Chelone insisted on returning to the Arctic Classic. When he reached the Hoodoos, the race director, Howie Thies, asked whether he should compete so soon after the seizure. Undated photo of Chelone Miller snowboarding. By the time Chelone attempted the course — Thies assigned him the final starting time of the day — a heavy snowstorm had swept in, drastically reducing visibility. And Chelone remained groggy from the seizure. The first leg of the course requires riders to push off a 5,800-foot summit and descend about 1,700 feet over less than two miles. Chelone averaged 78.1 miles per hour on the first leg, placing him in contention for the title. He was traveling 79 miles an hour on the second leg, which requires boarders to be towed by snowmobiles, when he crashed. He picked himself up and, without the snowmobile, began the third leg by soaring off the top of a second mountain. Traveling at speeds greater than 80 miles an hour, he plunged another 1,200 feet to the finish. Chelone was disqualified for missing a gate in the crash, but he walked away smiling. His spirit amazed Holland, who won the last two Arctic Classics. Chelone was riding high, his relationship with Bode stronger than ever, according to friends and a poignant video tribute to Chelone by the Ski Channel. An expert fisherman who regularly won prizes at the annual Moore Dam tournaments in Littleton, Chelone was filmed with Bode fishing in the Everglades as well as golfing. “After my accident, we became a lot closer because I think [Bode] kind of realized he could lose his brother at any given moment,’’ Chelone said in the video. Chelone’s death was the latest in a series of sudden losses for Bode Miller and his family. In 1981, his uncle Bubba Kenney, a nationally ranked collegiate skier, died at 25 kayaking in nearby Echo Lake. 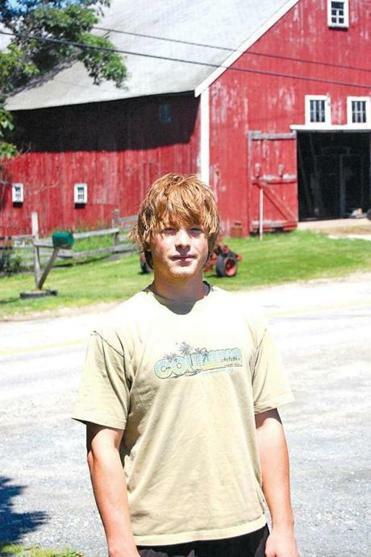 In 2007, his cousin, Liko Kenney, 24, was shot and killed near the family compound, seconds after he fatally shot a Franconia police officer with whom he had feuded. A few steps from a wooded glen where Bubba and Liko are buried, Chelone’s family and friends celebrated his life, hundreds gathering in a field near a trailhead to the cabin where he was born. They planted Chelone’s snowboard so it pointed skyward from a circle of stones placed by friends and loved ones. There were feathers and sage, crystals and Tibetan bells, messages of love, and a roach clip signifying Chelone’s youthful dalliances with marijuana. “We love you Chilly, always and forever,’’ Beck tweeted that day. While Bode watched, a small parade of friends and relatives remembered a young man whose legacy of good will and fearless zest will endure in the mountains he loved. Some of Chelone’s ashes were scattered at Mammoth Mountain in California, the hub of his snowboard escapades in recent winters. Others were spread on Mount Kinsman, some high in the sugarbush where he roamed as a child while the thrush and warblers sang and life seemed as sweet as the maple sap on his lips.